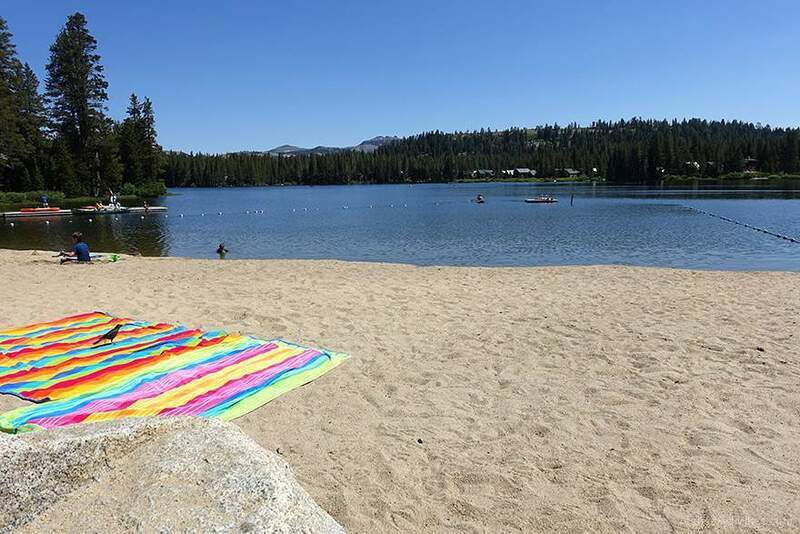 Though many resorts in the Lake Tahoe area like to lay claim to being “the best-kept secret” of the Sierras, Serene Lakes’ unparalleled natural splendor and off-the-beaten-path locale make it an easy contender for the title. 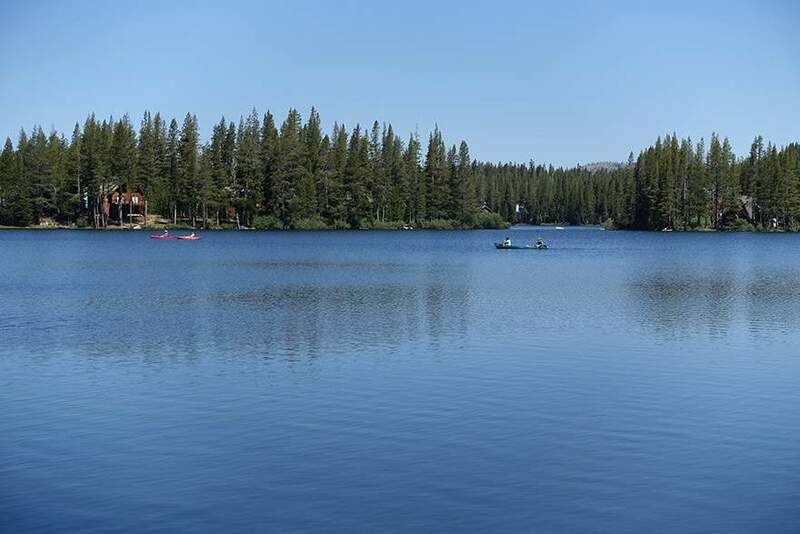 Serene Lakes is the name given to two connected lakes – Northward-facing Serena and Southward-facing Dulzura – located an elevation of 6800-7200 feet on the Sierras’ Western slope. The area around the lakes is densely-wooded with tall white fir, tamarack and cedar, and the lakes’ waters teem with rainbow and lake trout. In the colder months, its heavy snowfall (400-500 inches annually) and close proximity to many world-class ski resorts make it a winter recreationist’s dream. In the sunny, warmer months, a steady breeze coupled with the lakes’ high altitude rewards visitors with an average 300 days of sun each year, with fairly low humidity. 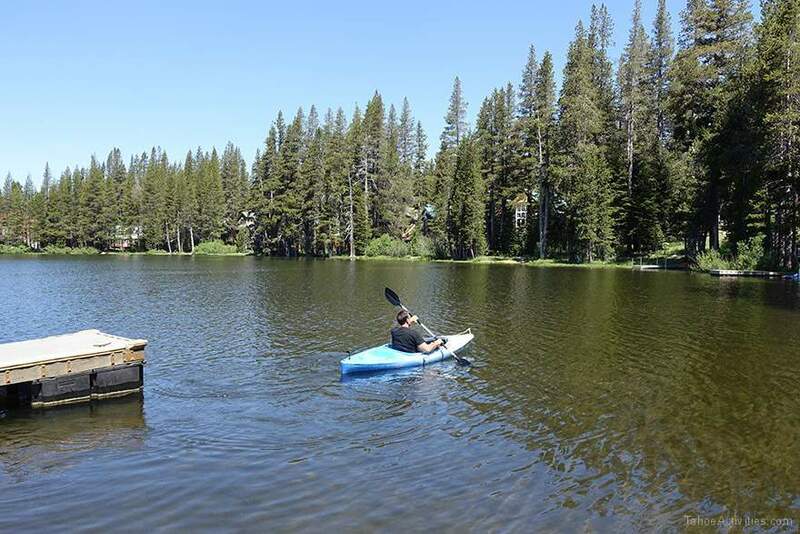 For thousands of years, Serene Lakes was a popular fishing spot along Native American trade routes, and obsidian arrowheads and ornate petroglyphs are still commonly found along its dirt trails. 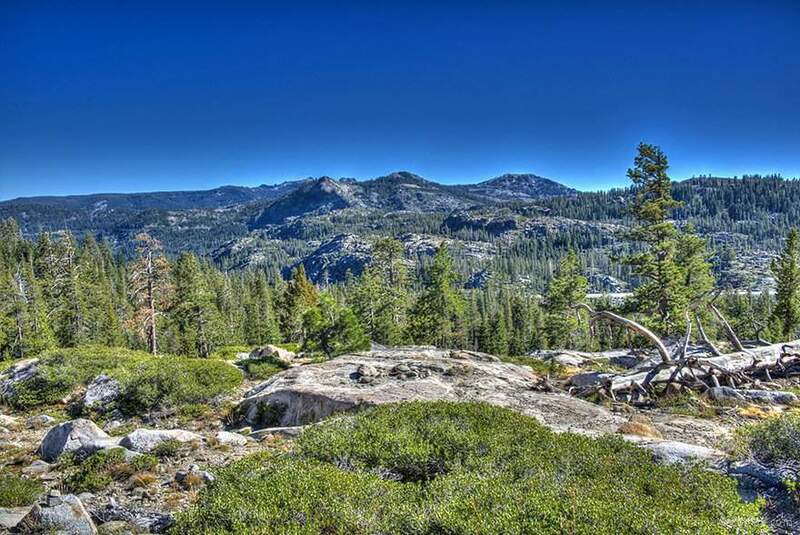 As the Tahoe region became a common stop along the “emigrant trail” for settlers in the late 19th Century, many visitors took notice of the area’s lush forests and pristine lakes and rivers. One noted tourist – as local rumor has it – was Mark Twain, who gave the lakes their respective names during a boating trip. However, “Serene Lakes” is a relatively recent name for the subdivision encircling this pair of lakes; they had long been known as the “Ice Lakes”, as they were an important commercial source of ice blocks for decades before the advent of modern refrigeration. 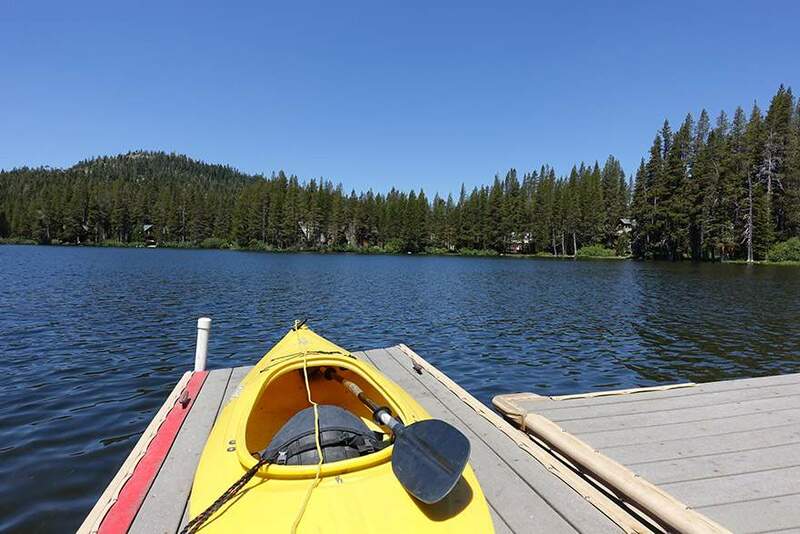 The many trails around Serene Lakes are ideal for hiking (Castle Peak Trails) and biking, and the lakes’ inviting, crystal-blue waters are fantastic for windsurfing, sailing, and swimming. 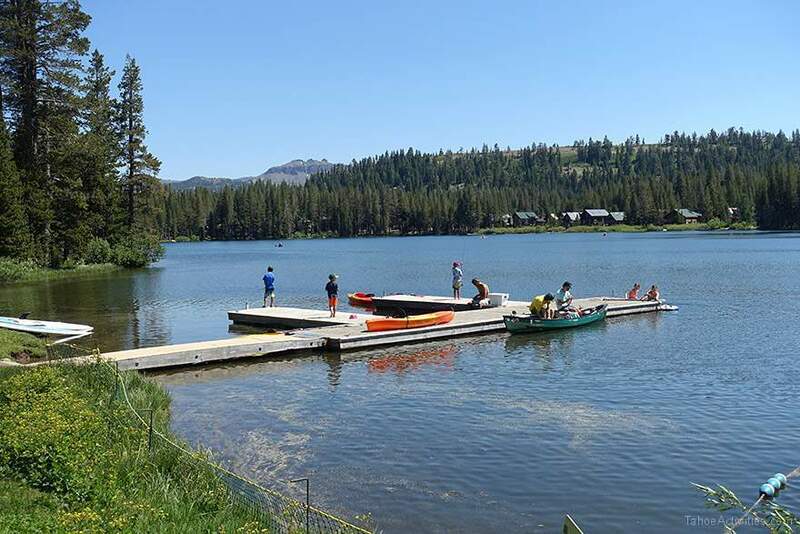 As a friendly reminder, water sports and fishing are restricted to the Dulzura lake, as Serena – true to its namesake – must remain an untainted source of drinking water for the locals. 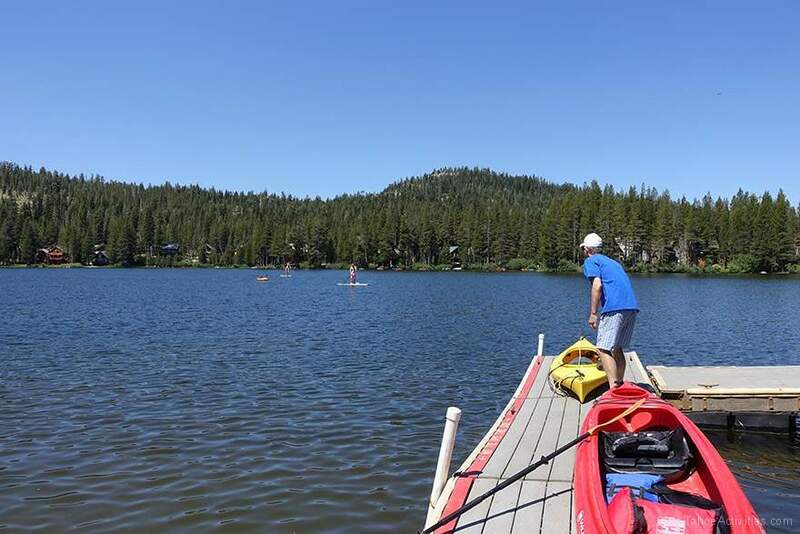 In addition, to preserve the lakes’ water quality and wildlife, the use of non-electric boat motors on the lake is strictly prohibited. 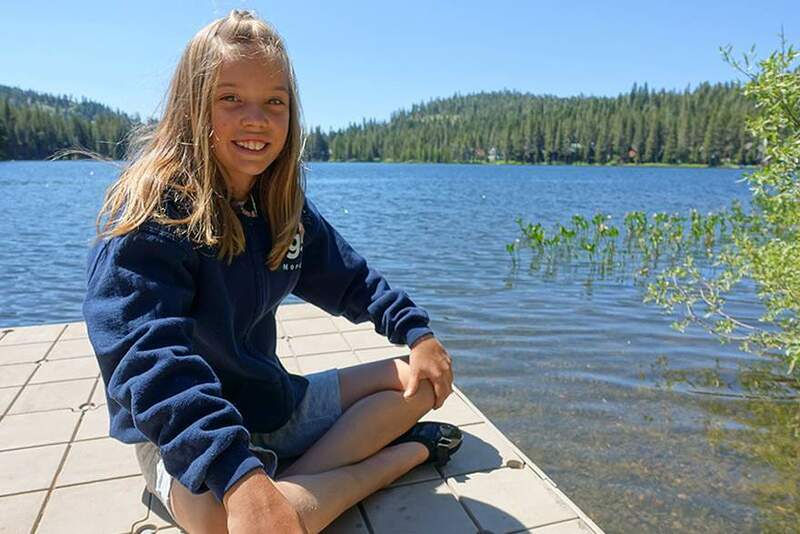 While it’s certainly pleasant to relax and take in Serene Lakes’ tranquil setting, it’s also nice to get out on the town and experience everything the Lake Tahoe area has to offer. 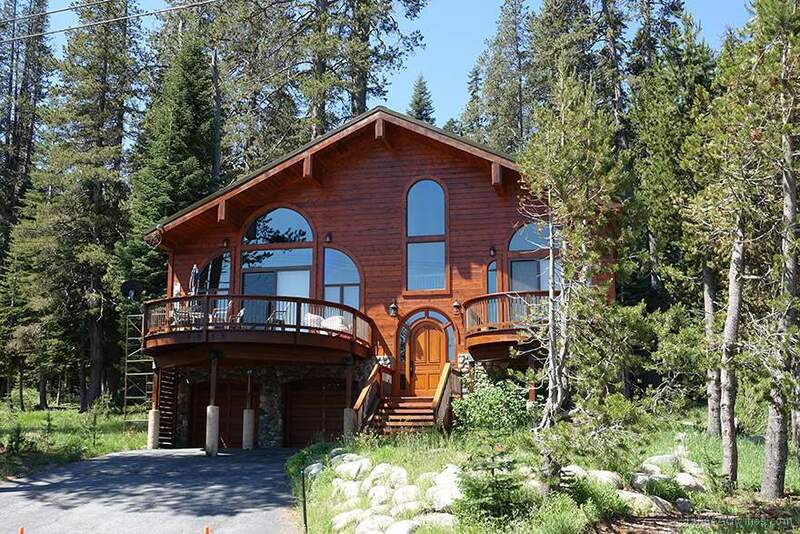 Lake Tahoe itself is only a 25 minute drive from Serene Lakes, and the communities along its shores boast some of the best restaurants, mountain golf courses, boutique shopping and night life on the West Coast. 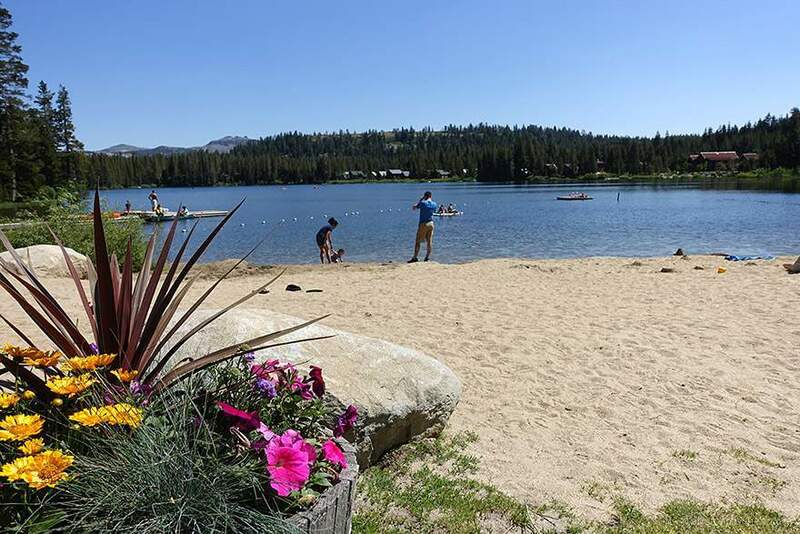 And of course, no Tahoe experience would be complete without fun in the snow, and Serene Lakes is a stone’s throw away from some of the best ski resorts in the country. Soda Springs, one of the area’s original resorts (founded in 1931), offers excellent slopes for beginner and intermediate skiers at family-friendly prices. For the cross-country enthusiast, you can’t beat Royal Gorge, the largest XC resort in the US. 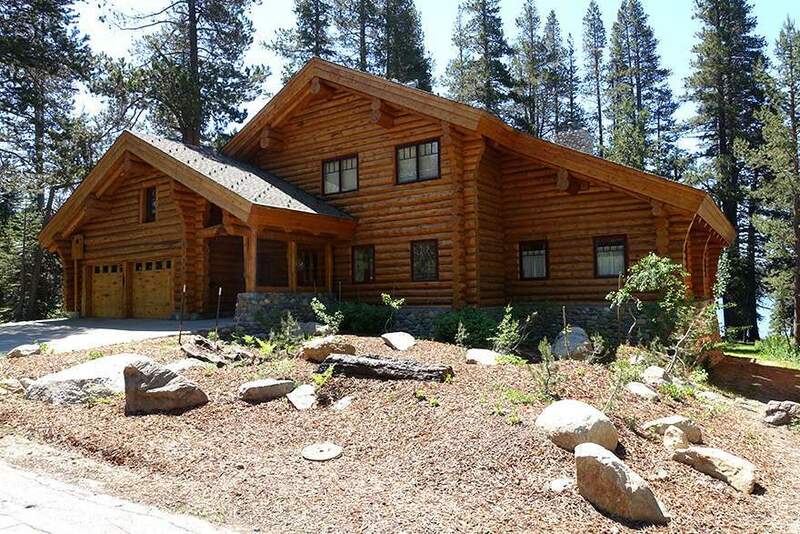 Sugar Bowl is renowned for its laid-back atmosphere and all-around great slopes, and for snowboarders who want slopes of their own, don’t despair–Donner Ski Ranch and Boreal Ridge will happily accommodate you. 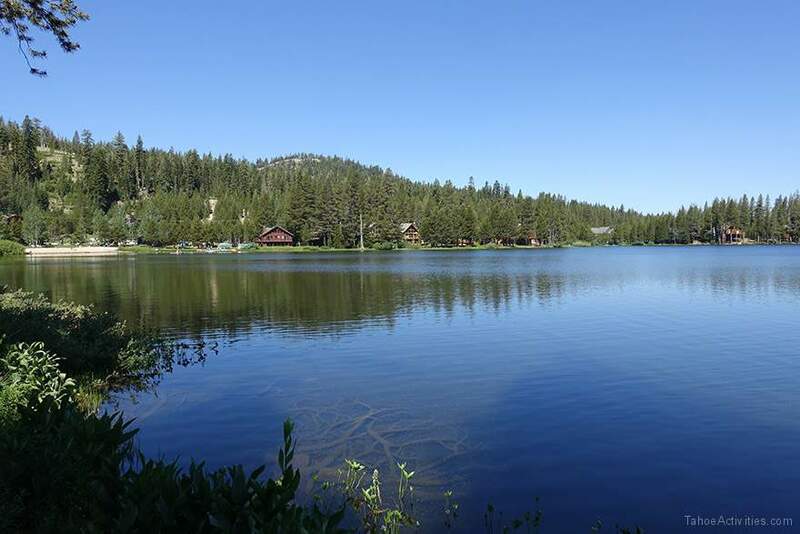 Serene Lakes’ real estate consists of a subdivision of 1000 residential lots over 2400 acres. 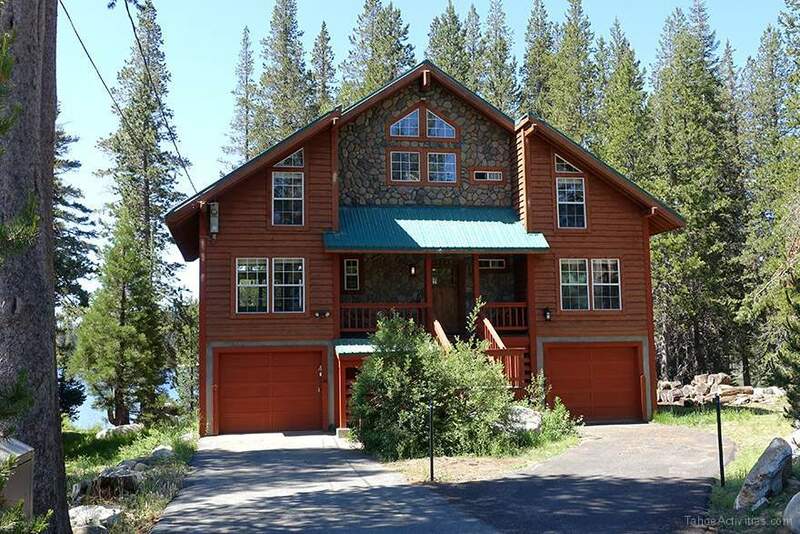 Modest Serene Lakes chateaus and cabins begin at $300,000, and can command prices as high as $1.5 million for some luxury lakefront properties. 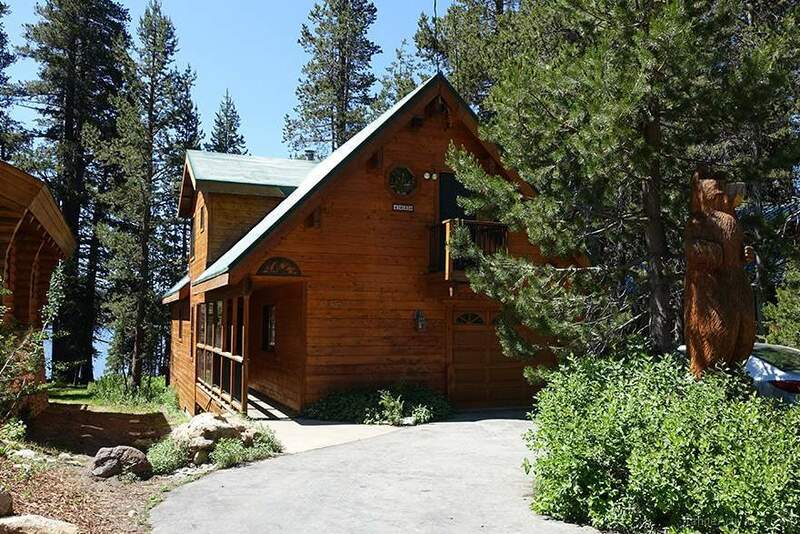 As of this writing, a handful of those original lots are still on the market, and range in price between $60,000-$200,000.